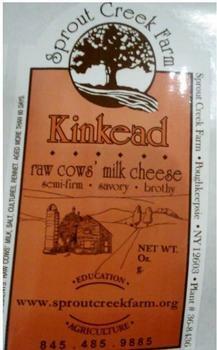 Sprout Creek Farm of Poughkeepsie, N.Y., is recalling four wheels of Kinkead cheese made on May 10, 2018. Customers who purchased the recalled product should dispose of it immediately. Consumers with questions may contact Sister Margo Morris at (845) 485-8438 from 9:00am – 5:00pm, Monday – Friday (EST).